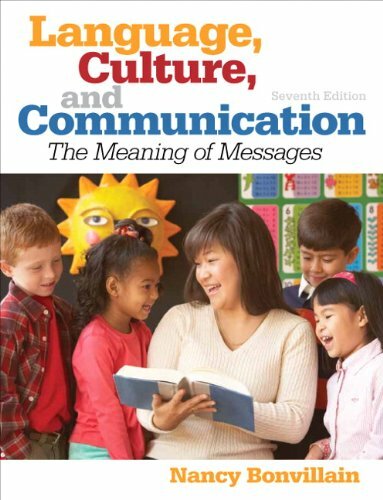 Using data from cultures and languages throughout the world to highlight both similarities and differences in human languages, Language, Culture and Communication, Seventh Edition, explores the many interconnections among language, culture, and communicative meaning. The text examines the multifaceted meanings and uses of language. It also emphasizes the ways in which language encapsulates speakers' meanings and intentions. Nancy Bonvillain focuses on analyzing communicative interactions, revealing how social relations are produced and reproduced through speech. The text also highlights the analysis of language ideologies, that is, the beliefs that people have about language structure itself, about language usage, and about appropriate norms for producing and evaluating speech. This 7th edition contains updated information throughout as well as several new sections. Examples of language practices in African societies have also been added. Recognize reputation and pattern in human speech. Understand the formation and structure of language. Have a strong understanding of the use of rhetoric in communication. If you have any questions about this product by Brand: Pearson, contact us by completing and submitting the form below. If you are looking for a specif part number, please include it with your message.